A wonderful prosperous life is an effect when you Believe – Dream – Act. Did you know? Walt Disney the creator of Disney was the real voice for the animated character Mickey Mouse. During your childhood, you must have come across many cartoon characters. Donald Duck, Goofy, Peter Pan and Snow White. These animated cartoon characters are still a part of our fond childhood memories. 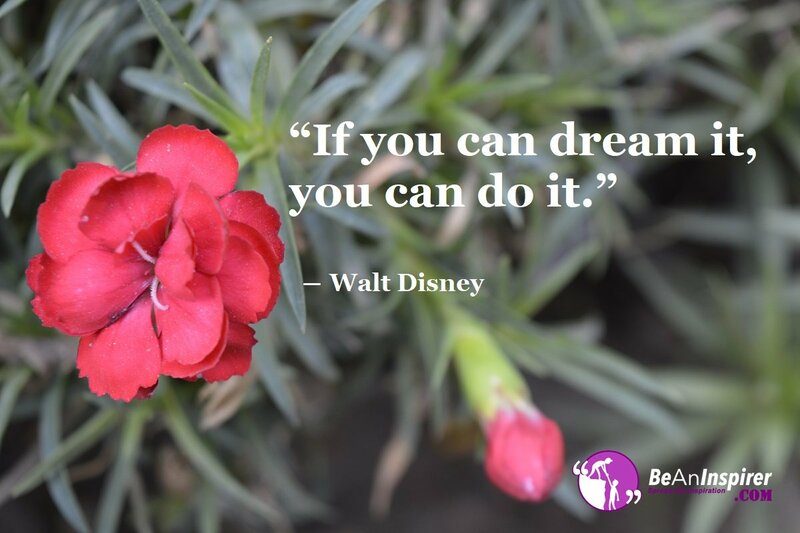 Walt Disney was the man who dared to dream. He created these wonderful characters from his rich and vivid imagination. Walt Disney was the finest most acclaimed entrepreneur and film producer. He was a voice-over artist as well as a cartoonist. But when he started off, no one understood his vision. He had no money. He lived in his office to save rent, and he survived eating only a cold beans diet. In spite of going through a lot of rough times, he did not give up on his vision. His dream was to share and tell stories through his animated cartoon characters. His world of stories and characters were unknown to the rest of the world. But Walt Disney was determined to do all that it takes to bring these characters, these stories to life. He had a dream and an inventors mind. He was the first to create a full length animated feature-length film. He was the first to create a theme park called Disney Land. This is where all the characters came to life. Disney Land continues to fascinate and delight people from all over the world. His creations live on earth even though he himself has passed on. He lives through his creations. His work still continues to inspire. Every Disney creation brings a sense of celebration. It mesmerises the hearts of children and adults from all walks of life. Dare to dream. Imagine that you have a white canvas in your mind’s eye. Like a child take up your crayon and draw on this white canvas. Draw that which you would want to create in this world. Don’t hold yourself back in expressing yourself. Acknowledge and allow your imagination to conceive something that you are motivated about. Something that you are inspired to create and share with the world. But just dreaming is not enough. You must be willing to take action. Correct yourself. Learn all that it takes to facilitate your dreams. You may not know what to do or how to do it and that’s okay. You only have to believe in your dreams. Believe that you are capable of it. Then be open to learning all that it takes to bring your vision to life. Below are the habits that most successful people in the world has. Consider applying all or a few of them in your life and test it out. Most successful people in the world wake up in the early hours of the morning. They do some sort of personal development practices early in the morning. They exercise regularly. This helps to keep the mind sharp and clear, while the body is active and dynamic. They generally eat light and healthy timely meals. Are you ready to have A Wonderful Prosperous Life? How do you start your day? What do you look forward to doing in the day? Do you agree that these habits can support you fulfil your dreams? Let us know in the comment section below. Share your thoughts and inspire all of us.